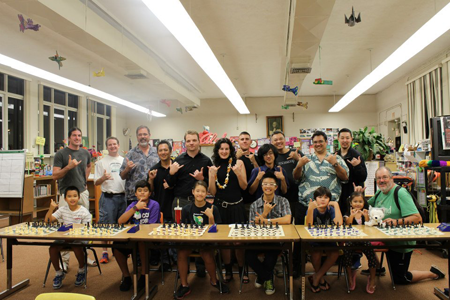 Managed by a diverse Board of Directors, the Hawaii Chess Federation (HCF) is a 501(C)3 Non-Profit and the state affiliate of the United States Chess Federation, the governing body of chess in the United States. and to conduct an outreach program into community organizations and schools to develop chess programs. See the full Hawaii Chess Federation constitution posted here. For more info about the Federation’s activities or to get involved with Hawaii chess, please contact the Board of Directors.